Express shipping is not available on china. All china is shipped UPS. Many different styles and patterns of bone china mugs. Bone china dessert plates to match the teapots and other accessories to complete a tea set. Large bone china cups and saucers to hold up to 16 ounces of your favorite beverage. Most of the cups and saucers have matching teapots. 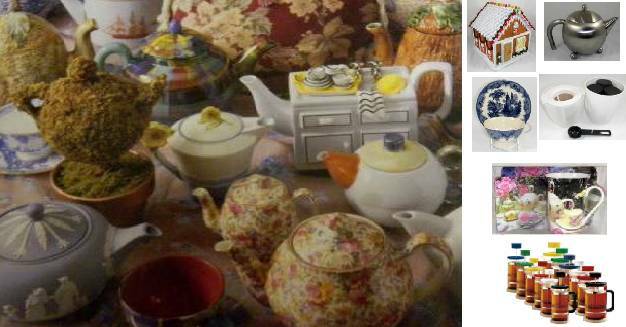 Bone china cream and sugar sets that match many of the teapots on this site. Many patterns of two, four, and six cup teapots with matching accessories. Bone china serving trays in one, two, and three tier variety.